Event Marcom Team of 12 Includes Team Lead and Dedicated & Flex Resources for Communications, Social Media, Marketing Automation, Content Strategy and Writing Program Services. 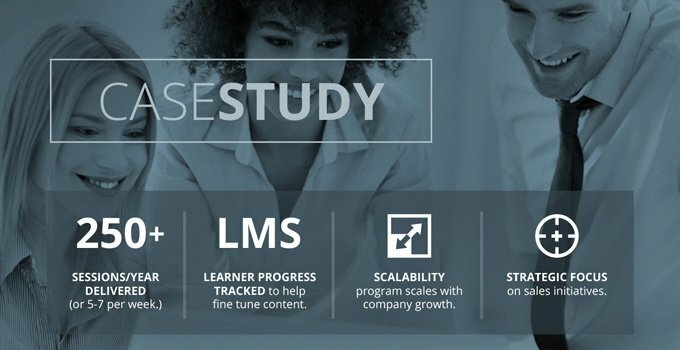 Our client’s Global Events team needed to deliver its event marketing communications programs more efficiently and cost-effectively, minimizing day-to-day resource management while still successfully executing the company’s highest-priority events. 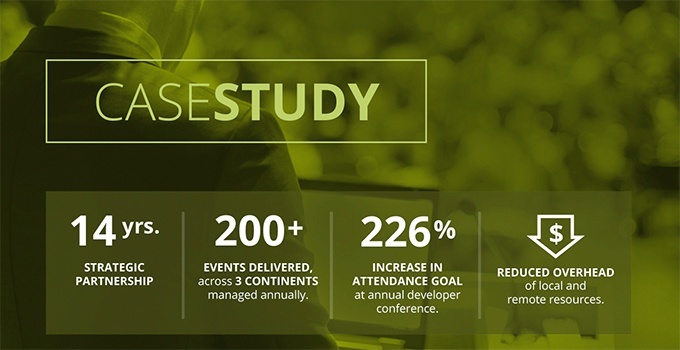 We designed and presented a managed marketing service solution to the Global Event leaders, who made the strategic decision to outsource their primary event communications function to us. Now, a team of 11 marketing communications experts and a service lead executes on strategy to deliver communications programs for most of our client’s corporate events worldwide. In its first year alone, the managed marketing service team delivered more than 70 events in 8 countries, including industry conferences like CES and Mobile World Congress, executive events like CIO Summit, and the company’s flagship user conference for more than 25,000 customers. The lead manages workflow and service level agreements (SLAs) with metrics for each event to ensure fulfillment of our client’s goals and objectives. Building on successes so far, the team is expanding to include a social media manager as well as a pool of creative, editorial, and other marcom experts who can support an expanding portfolio of events on an as-needed basis. Our client’s Global Events team can continue to save time, save money, and stay focused on the business while leaving the event communications strategy and execution to us. Need help with your event marketing programs? Whether you need a single event marketing consultant, a fully managed outsourced team of event marketers, or recruitment services to hire marketers directly, Crawford Group can help. We offer a full range of event marketing services designed to help marketers just like you. Event Marketing Team Delivers 200+ Corporate Events and Tradeshows For a Digital Marketing and Media Leader. Event Marketing Team Delivers Turnkey Sales Enablement Webinar Program With 250+ Sessions Per Year.